Jennifer Lawrence’s new Oscar-bait turn as Joy Mangano, creator of the Miracle Mop, in David O. Russell’s Joy, has outlets like Vogue, People and Good Morning America using the film as an opportunity to remind us that Mangano’s story is indeed a real-life manifestation of the American Dream. But there’s a better way to get to know the founder of Ingenious Designs, LLC: through her appearances on the network that made her famous, HSN. “I asked them to let me go on the air and demonstrate it myself,” she said. 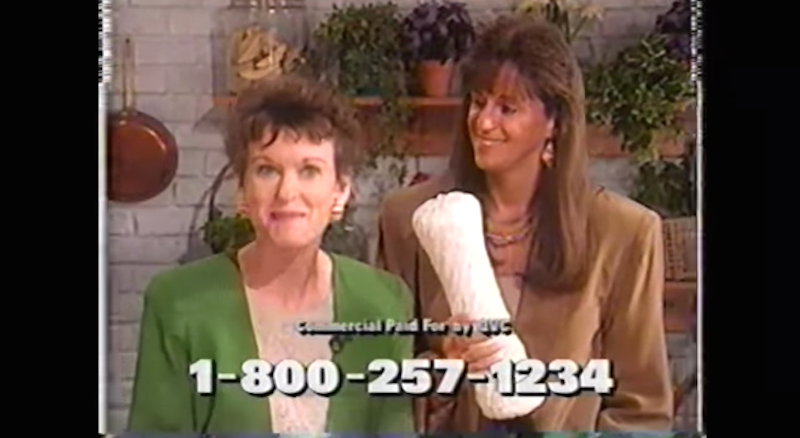 “I knew I could sell it if I could show people what I had in mind when I designed it and how well it really worked.” With the unbridled enthusiasm of a true inventor and what she called “a sales pitch which came straight from the heart,” Ms. Mangano sold 18,000 mops in 20 minutes. When Mangano shows off what her old closet used to look like before Huggable Hangers it makes me want to buy new hangers—or just never let her into my home. I don’t really need a Better Beauty Case but she sure does make it seem like I do. As Bloomberg Businessweek explains, much of Mangano’s appeal is her super-friendly, chatty personality. Unfortunately, that won’t come across with her products in stores, which is why her name will be all over them. So she and her team have redesigned the branding, the logo, and the packaging—everything down to the little chalk sketches on the label meant to evoke the drawings she makes when she’s developing an idea. Will those tweaks be enough to capture the essence of Joy Mangano? It probably doesn’t matter much: she’s still on top, and looking up.